The New Jersey Transit Police Department serves as the security and emergency professionals for all transportation modes in New Jersey. This includes all trains and buses that serve over one million people daily. 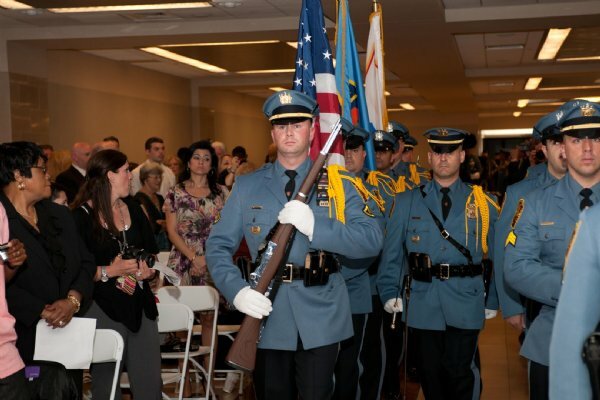 The NJ Transit Police Department held its annual "Promotion and Awards Ceremony" on Tuesday, May 22, at the Secaucus Frank Lautenberg Train Terminal. It was attended by hundreds of police officers and their families. 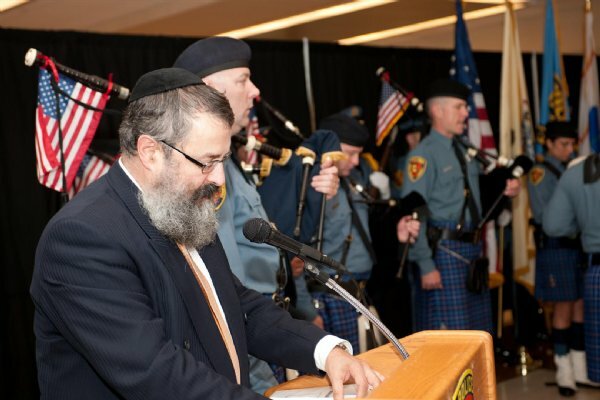 Rabbi Yosef Carlebach, Chaplain of NJ Transit led the gathering with an invocation. 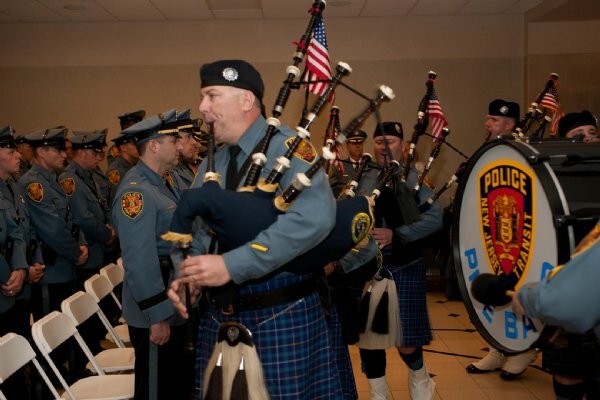 This was followed by a ceremony honoring many police officers for their heroic acts, and the promotions of Police Inspectors, Captains, Lieutenants, and Sergeants. NJ Transit Police Chief Chris Trucillo and NJ Transit Executive Director James Weinstein greeted the crowd, presented all the awards, and swore the newly promoted officers to their positions.